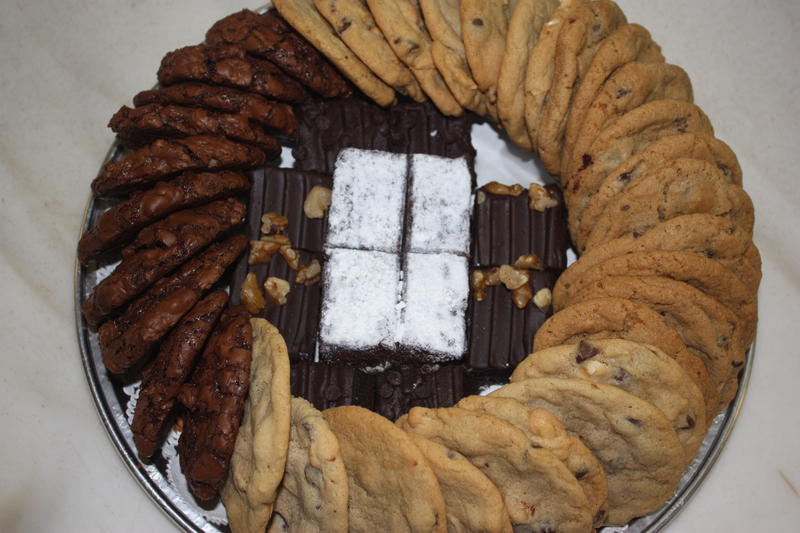 A 12-inch cookie and brownie tray includes four brownies (cut into quarters) surrounded by an assortment of three dozen cookies – the perfect variety for a mid-size gathering! For a larger group, try the 16-inch cookie and brownie tray, which includes ten brownies (cut into quarters) surrounded by an assortment of four dozen cookies. The desserts are arranged on a round platter with a clear, dome lid.